Each of our consultants has over 20 years experience in safety consulting and risk management - get to know us! Our consultants have a wealth of experience not only as safety professionals but also as workers, Supervisors, Engineers, Facility managers, Vice Presidents and even Presidents of organizations. Most have well over 20 years’ experience and their understand of safety, quality, productivity and total performance helps us deliver better solutions for you and your organization. Holds BS degrees from Illinois State University in Safety Engineering and in Industrial Technology. Received an Associate Arts degree in Business and Industrial Psychology from College of Du Page Du Page in Glen Ellyn, IL. Bryan D. Glossop, B.S. 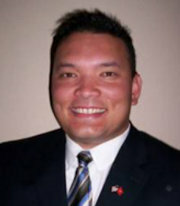 Bryan has extensive experience in a number of disciplines. During his 31 years with John Deere, Bryan held positions in manufacturing, safety, purchasing and industrial technology. 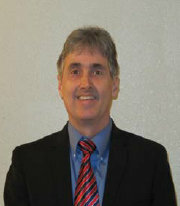 Bryan has extensive experience in a number of disciplines. During his 31 years with John Deere, Bryan held positions in manufacturing, safety, purchasing, and industrial technology. After his very successful career at John Deere, Bryan started his own consulting firm named Safety & Training Solutions and continues to share his experience with organizations all over the world. We are very pleased to have Bryan join our team. Bryan is a Northern Illinois University graduate with a B.S. degree in Business Management. He worked for John Deere for 31 years until retiring in 2001. During his tenure at Deere, Bryan managed at 5 different Manufacturing Units ranging in size from 740 to 3,650 employees. When he retired, Bryan was the Safety & Training Manager for the John Deere Seeding Group in Moline, Illinois. While managing Safety, the areas under his control ran 7.9 million hours without a lost time accident and reduced injury rates by 71.5%. He is a certified trainer and has always loved instructing. 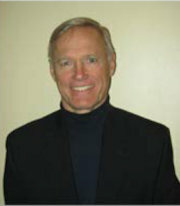 Bryan has instructed over 375 classes. Bryan has also been a speaker at several conferences such as the National Safety Congress, ASSE Congress and for Associated Employers. Bryan conducts factory safety and machine guarding audits and teaches classes in Safety, Manufacturing Productivity, Human Resource topics such as Behavioral Interviewing, Diversity, Respect vs. Harassment, Time Management, Problem Solving, and First Line Supervisor Topics. In addition to teaching throughout the United States, Bryan has also taught classes in Canada and India. Bryan is a certified SafeStart and Safe Track Consultant and Trainer. Peter Bamford Peter has helped to dramatically reduce the accident frequency in the waterfront industry and has been instrumental in new safety initiatives. Peter has helped to dramatically reduce the accident frequency in the waterfront industry and has been instrumental in new safety initiatives. Peter Bamford’s principal career was that of a railway locomotive engineer and union steward, rising to the position of Legislative Representative of the United Transportation Union representing the union membership through its Otta WA office. In 1990, Peter was invited to the management ranks of the largest railway in Canada, Canadian National, where within the year it became the best safety record in North America. In 1998, Peter was awarded the portfolio of Director U.S. Operations Health, Safety and Security and then on to assist in the successful acquisition of the first and only true NAFTA railway operation in North America. Through Pete(s consulting work he assisted industries from the U.S. President’s maintenance personnel in Washington DC to Jet Engine manufacturing in Phoenix, and to Canada’s military personnel posted to United Nations assignments in post-conflict Kosovo to his most favorite client, a national Canadian Brewery in all plants from coast to coast. In early 2003, Peter Bamford accepted the position of Director of Health and Safety with the British Columbia Maritime Employers Association (BCMEA) where he represents 7 4 employers on the West Coast of Canada with regard to health and safety matters in the waterfront industry. Mr. Bamford is currently a Director of the British Columbia Safety Council and is actively involved in the ongoing education and awareness for public safety. He is also an accredited safety auditor and qualified Hazardous Materials Technician – Safety. His most recent appointments include the Canadian Employee’s Stakeholder Representative for the North American Agreement on Labour Cooperation relative to the North American Free Trade Agreement and he currently holds a chair on the International Safety Panel (ISP) facilitating global transportation safety. Thomas P. Means, B.S. Tom heads up our fire safety division. He is a natural for fires safety system analysis and inspection. He is also on our construction safety team and is available for long and short term audits, inspections and on-site monitoring. Tom heads up our fire safety division. He is a natural for fires safety system analysis and inspection. What you might also find interesting is that he is an expert in construction safety and knows his way around the construction site quite well. Tom is on our construction safety team and is available for long term and short term audits, inspections and on-site monitoring. You will find out soon that he is terrific with the employees and managers alike. If you want to control catastrophic risk Tom can help. Tom recently retired from the Fire Service as Fire Marshal and Emergency Management Coordinator for a community of over 73,000 residents. Tom worked in the fire service for over 30 years with expertise in fire protection and alarm systems, site and building plan review and public education. 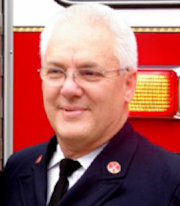 His service record includes fire suppression, EMS (advanced life support) and supervising the Fire Prevention Bureau. Tom is a state certified fire inspector and fire investigator. Tom has been qualified as an expert fire service witness in district court. As his community’s Emergency Management Coordinator he was responsible for outdoor warning systems, severe weather monitoring, operation of the local Emergency Operations Center, compliance with OSHA Firefighter Right to Know programs, City Readiness Initiative and Homeland security efforts. Tom is a member of the NFPA. Ahad Mujeeb Ahad Mujeeb is one of the brightest young safety professionals in the business. He guided American Packaging Corporation FP&L facility to OSHA’s Voluntary Protection Program STAR status for three years in a row. Ahad Mujeeb is one of the brightest young safety professionals in the business. In his young career, he has guided American Packaging Corporation FP&L facility to OSHA’s Voluntary Protection Program STAR status, ISO 9001: 2000 registration, and AIB superior ratings three years in a row. Also under his guidance, the facility went over a year and a half with ZERO recordable injuries on site. Ahad Mujeeb is a graduate of Iowa State University with an S.S. degree in Industrial Technology-Occupational Safety and is working towards his M.S. in Occupational Safety. Ahad has worked in both Manufacturing and Academia. 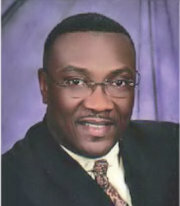 His background is in occupational safety and health, training and development, and behavior based training. 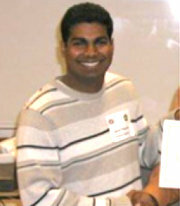 Ahad brings a youthful enthusiasm and passion for behavior-based safety management makes him second to none. We are truly honored to have Ahad on our team. Roderick L. Swager (Rod) Rod has had a very successful carrier in safety. Rod received his BS degree in Occupational Safety from Iowa State University and has held a number of safety positions including as a safety representative for a local UAW union. Rod has had a very successful carrier in safety. He received his BS degree in Occupational Safety from Iowa State University and has held a number of safety positions including as a safety representative for a local UAW union. After graduating from Iowa State Rod was unable to find a job in safety so he took a job working for John Deere. He eventually became a Journeyman Electrician for Deere. He didn’t lose his love for safety though and he did great work for the safety of the workers as a union member and a safety representative. He served on many committees and worked as a member of the joint safety team. It took a while but he couldn1 be denied his goal of helping workers as a manager of safety. He finally got a chance to show his value as a safety director and he excelled. We couldn1 be more proud of Rod. 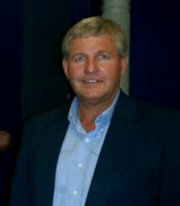 In addition to the position of Safety Manager Rod has held positions a Safety Analysis and Ergonomics Coordinator. Rod has specialized in VPP assistance and 70E implementations for us. He is also available for audits, construction oversight, training, and dispute resolution. Rod has never forgotten his roots and the way he works with people is exceptional. He seems to be able to always help find a solution. Rod joined our team even though he still works full time for a major manufacturer as Safety Manager. We are very happy to have him on board. James 0. 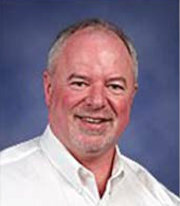 Wright, PhD, CSP Jim is a board-certified safety professional (CSP) and an Authorized OSHA Outreach Trainer (10 and 30-hour courses) for both General Industry and Construction Safety. consulting and training firm. His background is in occupational safety and health, adult learning, training and development, and human performance improvement. He is a board-certified safety professional (CSP) and an Authorized OSHA Outreach Trainer (10 and 30-hour courses) for both General Industry and Construction Safety. Jim is a noted keynote presenter, workshop leader and facilitator for many associations, businesses, and government entities. Key training topics include World Class Safety, Safety Solutions for Performance Improvement, Blue Print for the Integrated Emergency Response Organization, and Safety Auditing for Performance Improvement. 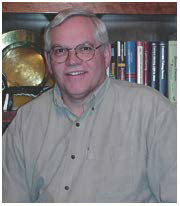 In private industry, Jim culminated his career as a Safety and Health Director at John Deere. He focuses on behavior-based safety, employee relations, communication and team building, motivation, employee performance, and productivity, and employer profits. 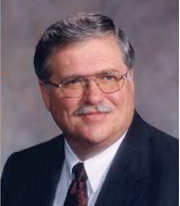 Dr. Wright teaches safety courses in the Department of Agricultural and Biosystems Engineering at Iowa State University. 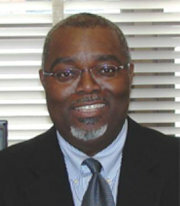 He also is the Director of the Safety Training Instruction and Research Center. His doctorate degree is in Industrial Technology and Education, with a Major in Occupational Safety. His honors & awards include the National Distinguished Program Award for Outstanding Program from the Association of Continuing Higher Education, the National Safety Council Leadership Award, and the Iowa Governo(s Outstanding Volunteer Award. Dean Howarth, BS, MBA Dean is a consultant in the Central Iowa area specializing in safety and environmental management systems, primarily for the manufacturing sector. Dean is a consultant in the Central Iowa area specializing in Safety and Environmental Management Systems, primarily for the manufacturing sector. He has had over 45 years of experience in safety and environmental management systems, industrial hygiene assessments and environmental compliance including workers’ compensation management and cost containment. Dean has developed and conducted technical safety training for employees and supervisors in the manufacturing sector. He has worked with management at all levels of developing methods and management structures to improve their safety and production processes; and establish and measure safety goals and objectives. In this role, he developed and conducted supervisory management training for several companies’ employee, supervisory and management staffs. He has also managed workers’ compensation, focusing on ensuring proper care and return to work for all employees including establishing workers’ compensation management systems that effectively reduced costs and improved control of the claim handling process.